My first comic convention was the 2012 C2E2 in Chicago, one of my favorite cities, where I was introduced to a webcomic called Hunter Black. Today's guest on Five-Q is William Orr, who co-created Hunter Black along with his friend Justin Peniston. 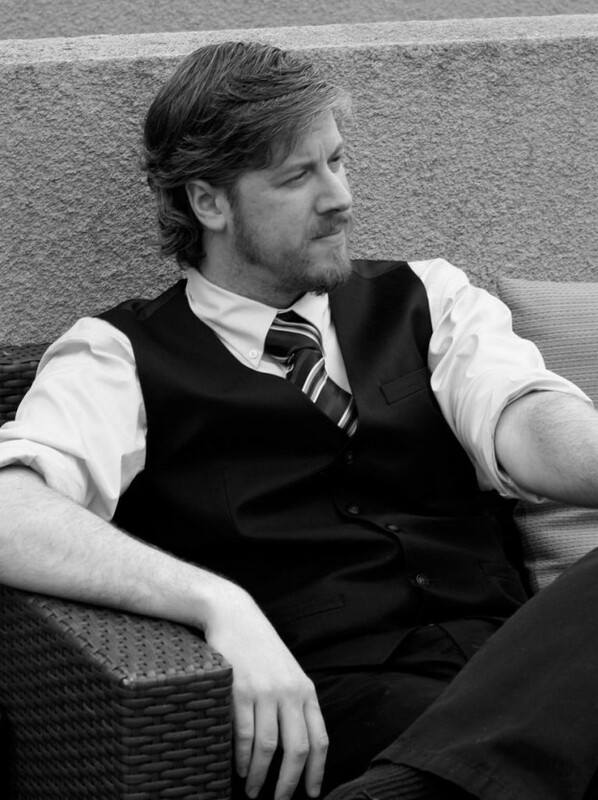 Will describes the webcomic as "the love child of Genndy Tartakovsky, Darwyn Cooke, Richard Stark, and Gary Gygax." Our topics of discussion include the origin of the webcomic and the duo's take on promoting the comic. Check out the story at www.hunterblackcomics.com. You can also follow the series on Facebook. Enjoy! Aaron David Harris: Briefly, what is Hunter Black? William Orr: Hunter Black was originally conceived as a pitch for an animated TV Show. At the time Justin and I really got into Darwyn Cooke's adaptation of Richard Stark's Parker novels. We always loved D&D and figured why not merge the two together. The more we worked on this pitch, the more we realized that no one would want an animated hard-boiled noir tale, set in a fantasy world. We eventually settled on a web comic after considering a number of other options (prose with illustrations, traditional comic, etc.). We launched on July 1st of 2011 and have been going strong since then. Hunter is the world’s best assassin, hired by a mysterious group of individuals to do a job. What Hunter didn’t know was that he was the fall guy. While in prison, Hunter not only finds out he was betrayed but also contracts a horrendous disease, The Hunger Blight, which will kill him soon. Hunter escapes and along the way discovers The Revenger, a powerful artifact that heals the wielder when it drinks the blood of betrayers. So now Hunter is on a quest to kill those that betrayed him, and nothing is going to get in his way. ADH: Your webcomic updates every Monday, Wednesday, and Friday. What is your process for creating a page? WO: When we first started Hunter Black, one of the first rules that we established was to have content every day you say you are going to. When it comes to the web and web comics themselves, it’s very easy for viewers to lose interest, especially if you don’t follow your update schedule. When we first launched, Hunter Black updated twice a week. We followed that update schedule for about 2 years, when we upped it to 3 days a week. I can happily say that we have never missed a posting day. I like to be a month ahead of our posting schedule. This allows me to go on trips and spend time with my friends and family, and not have to worry about missing upload dates. 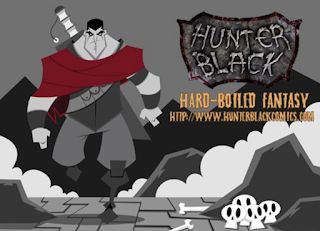 ADH: How do you approach promoting Hunter Black? WO: Well, this is an interesting question, because both Justin and I think we are terrible at promotion! We promote Hunter Black through the usual channels, Facebook, Twitter, Tapastic, Paid Advertising, Word of Mouth, and Conventions. The both of us find promoting such an alien subject, we can only ask for readership so much before our pride gets the best of us. Over the years we have amassed a very loyal readership and they have become one of our most precious resources when it comes to gaining more readership. I can’t stress this enough, take care of your loyal fans. ADH: Would you like to see volumes of Hunter Black published by larger independent comic publisher (Image, Dark Horse, IDW, etc.) or this comic strictly between you and the fans? WO: Justin and I have had a number of conversations about this subject over the years. Having a publisher helps with the money aspect when it comes to printing books. The down side of that is you lose profit. The advantage of independent publishing is we keep all the profit, the negative is that you take the financial risk. We weighed these options and decided to just do it ourselves. We launched a kick starter back in September and successfully raised 16,000 dollars. This money will allow us to print our first volume and we will sell it at conventions and on our website. Let me tell you, September was a stressful month. What’s even worse is getting the money and realizing you still have so much to do. The cover is nearly finished and we have to do some continuity fixes on some individual pages, then it’s off to the printer! ADH: What is your take on the nuclear eruption of comics-related adaptions over the last seven or eight years? Pro? Cons? Does it affect independent creators like you? WO: I largely think it’s great! Although at some point we all know the bubble will burst, but let's ride that wave till we get there. I'm not sure if it helps us anymore than it used to. Over the years many comic books have been adapted into movies, Men in Black, Road to Perdition, Ghost World. I feel that this latest bulge obviously helps super hero comics, I'm not sure if other types of comics will be affected by it.